Hi, im fairly new, starting to get to the point where i want more gear and i was looking at some (i think they're called) CQC pistol holsters i want one for my KJ Works KP-06 but dont know which one to go for. Anybody got any incite on this? Thats a blackhawk CQC with the molle adaptor. Would cost around £55 for one, but unfortuantly they don't make one for your pistol, only the major real pistols as the holsters are for the real steel versions. 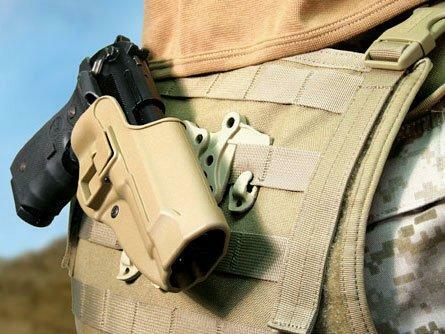 Oh yeah, and there's also a company called Fobus that do this type of holster.